For me, there’s no greater joy than pulling off a spectacular event, rich with details and a distinct personal touch that make for a memorable experience. A passion for hospitality and appreciation of the finer points that make an event truly special drive me to provide truly incredible service. I’m a believer in making everyone I encounter feel special, from the barista at the local coffee shop to those who are closest to me. Whether having friends over last minute for a Bengals game or hosting my annual Christmas Cookie Exchange, I want everyone who walks through our door to have the funnest* of times, but also to have felt deeply cared for. 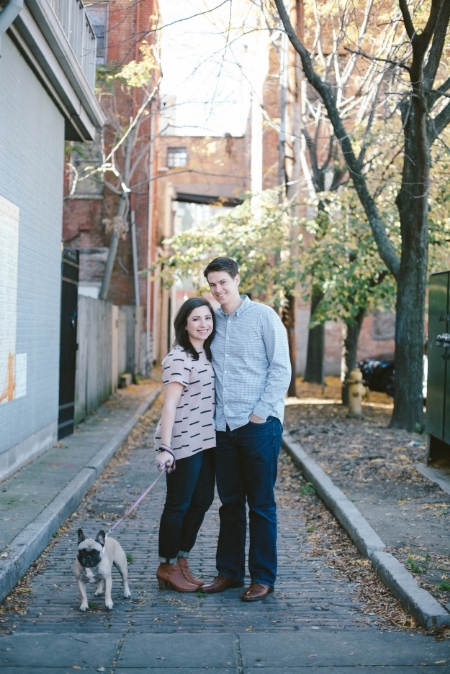 You can usually find me out and about in Cincinnati - noshing on our favorite tacos with friends, enjoying the Pops at Music Hall, or walking our pup, Daphne, at Ault Park. Despite our Cincy loyalty, Grant and I also have an insatiable wanderlust and love filling our home with pictures and treasures from around the U.S. and the world. I'm an honorary Southerner (Go Gamecocks! ), cook of a thousand recipes, amateur tennis player, and lover of McDonald's Coke. I can't wait to meet you and hear about all your event needs and desires! *Don’t you think it’s about time that "funnest" is added to the dictionary?